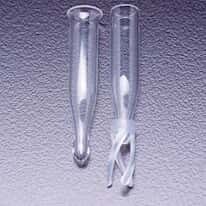 40% larger opening to precisely center a limited-volume insert in the vial neck. Choose from clear or amber Type I borosolicate glass. Available with graduated marking spots which can be written on with a #2 pencil.